Okay, I’ve been behind recently as far as current events go and leaving some sage commentary. That being said, I know I’m a bit behind concerning what was deemed a gaffe by many people on both sides of the political spectrum, by President Obama concerning California Attorney General Kamala Harris. Now before I get to my ultimate conclusion on the matter, let’s state the obvious, a woman couldn’t get away with making any comment such as this about another man and expect to be labeled as flirting or all kinds of level of inappropriate. So to that regards a gender double standard does exist and I have no problem acknowledging that. On the flip side, as a statement said in a vacuum void of gender politics and sexism, is it not a true statement? Have you actually seeeeenn the other Attorney Generals from other states. By in large they are occupied by greying or white-haired middle age to nearly elderly white men. There’s only a handful of women to begin with, and I would personally level that Harris is the best looking out of all of them. The next hurdle to jump over is the issue of image and just what is really appropriate coming from the President of the United States. 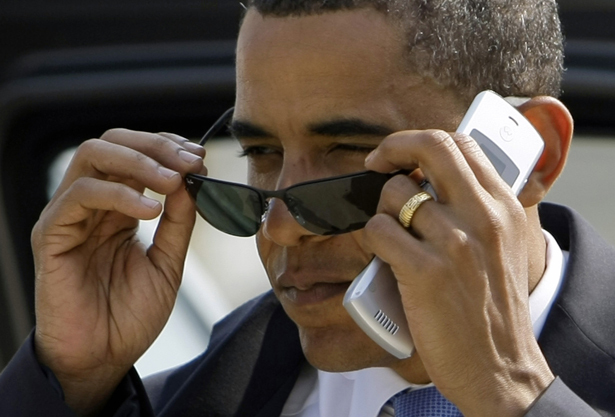 In the Age of Obama, he is on track to be the first president to not really be lampoonable. “Saturday Night Live” has dominated the on-TV comedy when it came to presidents with Gerald Ford tripping down the steps of Air Force 1, Jimmy Carter was a peanut farmer, Ronald Reagan was old as dirt and George H.W. Bush, well you can figure that out for yourself. The next sixteen years were comedy gold between Bill “Bubba” Clinton and George W. Bush’s perpetual foot that stayed in his mouth. And suddenly it stopped with Obama. Aside from him being black, but really being a (Hal)frican American because of his white mother and being raised in part by white grandparents, the guy was just the epitome of cool. The swag that Obama had was better described as full out grown man swagger! He had almost replaced Bill Cosby, even in his heyday as this image of what being a black man looked like as a fully grown adult. He had a wife on his arm and whether or not it’s real, there seems to be a genuine affection for one another and they have two daughters that are both growing into beautiful young women. Regardless of how stunning Michelle Obama is, for the longest, she’s been demonized by many of the hatred-spewing conservative minded people. Not by anyone with a legitimate microphone in front of them but from the sewer dwellings that house the conservative ultra-right blogosphere. Still even through all of this, legitimate media has always allowed her stunning style and elegance carry to the likes of Jackie O.
I don’t think anyone would really disagree that the image of black female beauty, of black womanhood has always been grossly misunderstood–and that’s putting it mildly. For many scholars, it starts back with Sarah Bartman, the Khoi woman from present-day South Africa who was stolen and literally placed on display in a freak show at a circus in European countries because of the size of her buttocks and the size of her labia–yes her actual genitalia. And just how the physical body of women of color has existed as some genetic anomaly almost. And then a the women’s movement progressed and concepts of ontological womanhood progressed, so did the caricaturing of black women. With the emergence of the Mammy motif along with Jezebel, representing the overweight, matronly asexual being and the other being the oversexed and exotic seductress respectively, black women have always been pigeonholed to fit a certain stereotype. Even the more recent emergence of the Welfare Queen, most easily represented in the movie “Precious” with the character of Mary Jones. And this is the society in which Michelle Obama is forced to occupy, as well as Kamala Harris. While yes the image of women’s beauty has changed in recent years, shifting more toward acceptance of those who are larger than a size 6, we still have a ways to go. When it’s still a bold move for department stores to have “plus size” mannequins, and Dove seems to be the only major company that consistently and boldly puts up plus size women, it’s evident we have a significant way to go. And for women, as a whole gender they’re forced to find a balance between what is deemed to be a “healthy” display vesus what’s “too big.” Even recently, the critic Rex Reed had no problems talking about Melissa McCarthy’s weight, in which he was openly slammed by much of Hollywood and the press. And recently, as Kim Kardashian gains weight from her pregnancy, there has been nothing but commentary about her weight gain, which was the same said of Jessica Simpson as well. Here’s the crux of my argument: I really don’t believe Obama was making a off-the-cuff remark that at it’s root was sexist, I really wonder if he was making a subtle nod to black female beauty. Now to be fair, Kamala Harris isn’t 100% black (who really is), in the traditional way we understand ethnicity in this country. Her mother is a Hindu who immigrated from India and her father is Jamaican. However, she attended Howard University (yes, the recent University where Rand Paul came off tone deaf as ever), the historically black college in Washington, D.C. and she’s a member of Alpha Kappa Alpha, the historically black sorority founded in 1908 at Howard University as well. Her affiliations with Howard and with AKA, for many, means she’s black. Black like Michelle Obama is black. So now, what does Obama’s comments mean potentially seen as a black man making a comment to another black woman? I have to be honest, I’ve never been the one to yell out of a car window “‘EY MA! YOU LOOKIN’ GOOD T’DAY!” but, I have a few times just been blown away by the beauty of a black woman that I just had to say something as I passed by. There was no ulterior or covert motive, I just wanted to tell another black woman that she looked good! Whether she had heard 100 times that day from her boyfriend or her husband, or whether I was the first one who told her that in a whole year, I wanted to reaffirm to her that this black man thought that she looked good. It’s not just one black man to another black woman like me speaking to the woman in the mall parking lot, but the President of the United States, the actual leader of the Free World making a comment about another black woman. And it wasn’t so much that this was some “Damn, shawty got a phat azz!” type comment or even a comment that really went into some flirty territory where we could see that Michelle coming out on stage slapping Barack for making that comment. Now if he made that comment and suddenly the 2 Chainz track “All I Want For My Birthday is a Big Booty Hoe” came blasting on the loudspeakers, then perhaps yes, I think we have a problem. What I thought was interesting was that all of the discussion I heard surrounding this particular sound byte were astonishingly post-racial, or rather devoid of race. I’m not sure it was a result of this post-racial push in society as much as it was just something mainstream media and the political talking heads aren’t used to making such correlations. And even still if someone made the same connection as I did, there wasn’t some in-depth discussion that ensued as a result of it. For the majority of the discussion surrounding this sound byte deemed a gaffe by most, placed Obama as just a man and Harris as just a woman, which I thought somewhat missed the point. Having a black man make such a comment in and of itself is serious enough for some black women, let alone a black man who is the President speaking to another black woman is uncharted waters. I believe if the racial dynamic was different there would be a different type of response from the masses. 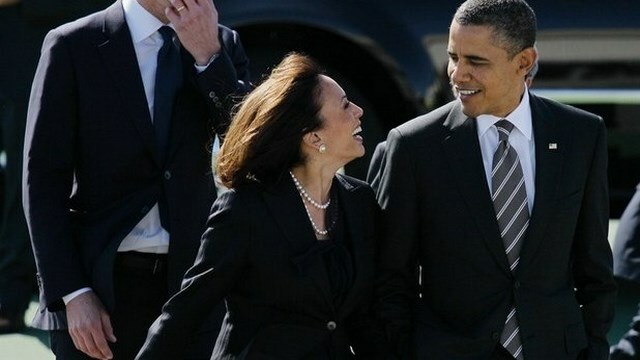 If Obama was white and Harris was white, I think we’d see an across the board dismissal of the comment as something serious, but just something that shouldn’t have been said. If Obama was white and Harris was black, I think we’d see a George Bush and Condoleeza Rice weirdo, almost creepy response come from Bush and it would have been all downhill. Not to mention the black blogosphere would have exploded against Bush. If Obama was black and Harris was white, we’d be talking about how Obama isn’t really black and this feeds into this mixed-heritage concept this mythical whiteness that Cornel West has rightly brought up in the past. And again, the black blogosphere would be going crazy along with the media that I think would swiftly and deftly level sexism in the remarks totally assail him for saying something such as that. The thing is, we’ll never know. Clearly the White House did basic damage control and kept it moving toward more pressing issues like covering up their involvement with Jay-Z and Beyonce traveling in Cuba. Beyond that, the only person who might know the real answer, aside from Barack himself, is Michelle. Where maybe she asked in a spare moment of private time for the two of them what was that all about and what did he really mean. But we don’t need you too. When I walk down the street, I don’t need a black man, or any man to acknowledge my physical appearance. I consider it a form of street harassment and any woman from Harlem, to L.A, to Atlanta, to D.C will tell you– the ongoing cat calls (no matter how its delivered) continuous callbacks, whistles, and same old “damn ma, hey chocolate, whats up slim, aye girl,” drivel that spews from the lips of men on a daily basis are demeaning and just plain annoying. I’m sorry black man, but our bodies, faces and spirits don’t need your acknowledgement in the form of fleeting cat calls, to make us feel worthy. Harris is not a supermodel, therefore her job has nothing to do with her beauty but her skills and just because the President is black- he doesn’t get a pass. Neither do you, black man. <—- My point exactly. No matter HOW innocent or genuine it may be, one always runs the risk of offending another, which I'd rather not experience. I've learned to simply keep my thoughts to myself…not through my own experience, though!! Although I feel it's unfortunate, I can understand the thoughts behind it. Who said its a compliment? Perhaps the subject doesn’t see it as such. Not every woman wants her physical appearance acknowledged. Especially from a stranger or colleague (Obama). I don’t see how you can be damned for not complimenting a complete stranger. Black women will carry on with their day just fine.